When opening the patient eScripts window the user will note the message that Surescripts is being searched. Click on Compose to refresh. If a history is found then the following option appears. If there is no available history that will be indicated. Note that the message will vary depending on the insurance provider and pharmacy history. 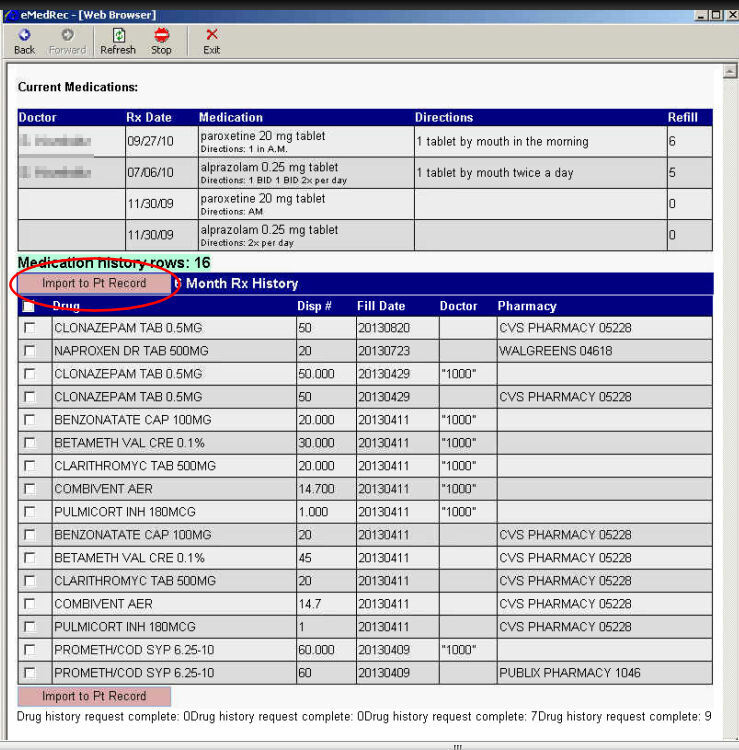 Click on the SureScripts Drug History link and the following screen will appear. Click to Request the prescription history and import. A history of the patient's prescribed medications will be listed. Verify the accuracy with the patient. Place a check to the left of any medications you want imported into the Medication List. Click 'Import to PT Record' to populate the Medication List.